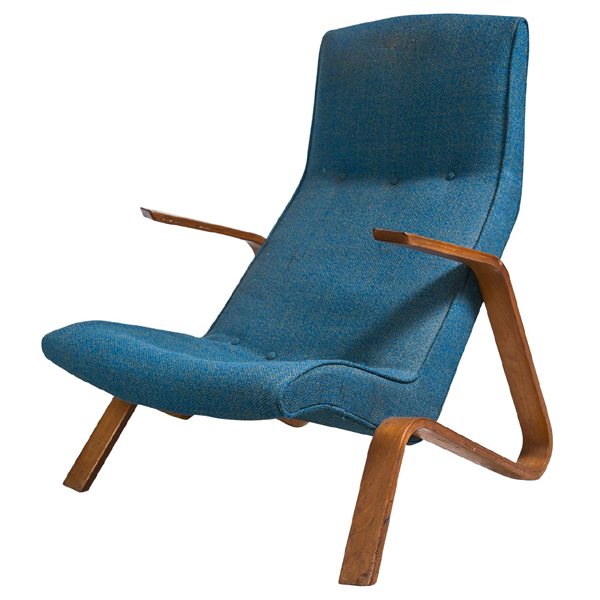 Saarinen's Model 61 "Grasshopper " chair was the first lounge chair he designed for Knoll in 1946. Responding to what he saw as the relaxed posture a sitter desires, he sought to support the seat, back, shoulders, and head in an organized way. His desire to simplify a form to its fewest elements resulted in the arms and legs all being connected and formed of laminated birch.